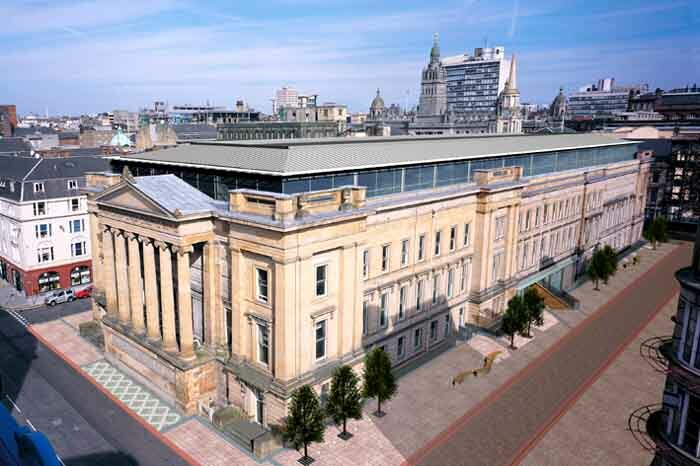 SMC Parr Architects’ redevelopment of Glasgow’s former Sheriff Court building has won a prestigious BURA Award for Best Practice in Regeneration. 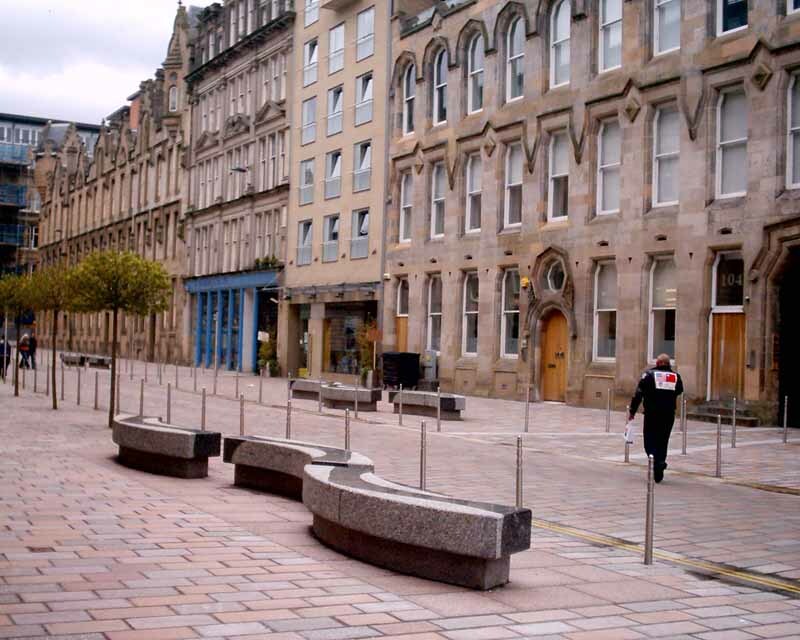 The scheme, which combines luxury apartments, shops, bars, restaurants and the headquarters of the Scottish Youth Theatre, was one of only eight projects across the UK to receive a BURA Award this year. 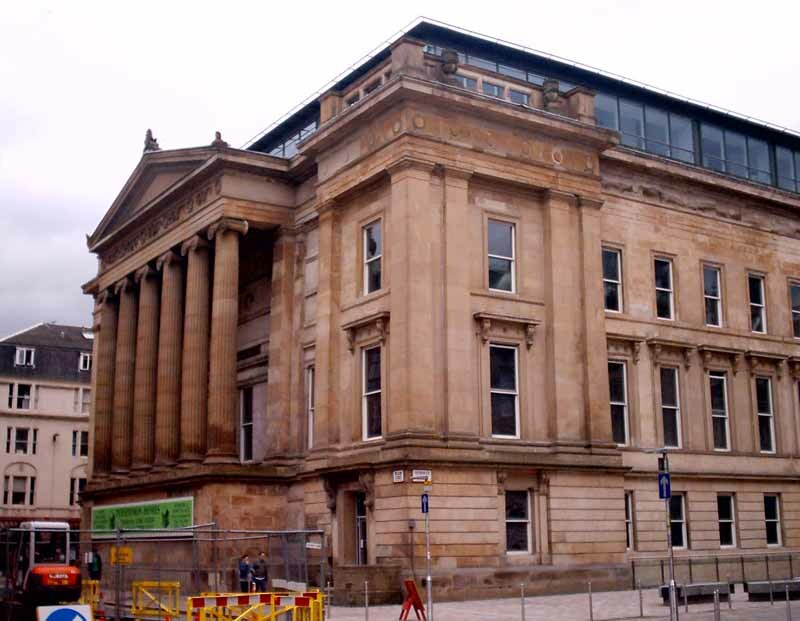 The B-listed neo-classical building of the former Sheriff Court occupies a full block in the inner city, and the project was a milestone in the ongoing residential renaissance of the Merchant City area. 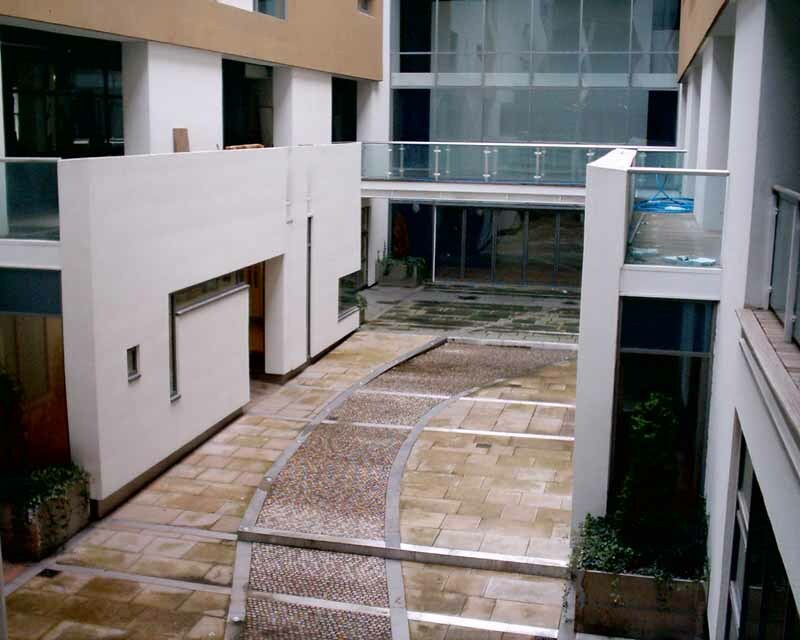 The redevelopment retained the building’s exterior, but created a completely contemporary interior including an open-air central courtyard dramatically spanned by an elevated walkway. 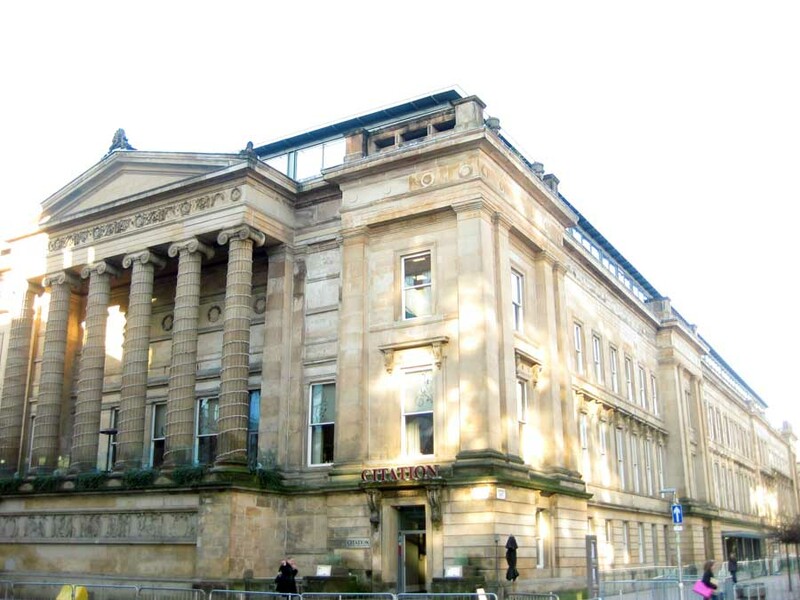 Glasgow’s landmark Sheriff Court building, with its graceful neo-classical façade occupying a full block in the inner city, is poised to make an emphatic statement about Glasgow’s residential renaissance with the completion of its conversion into a stunning mixture of luxury apartments, shops, bars and restaurants, and Britain’s only custom built Youth Theatre. 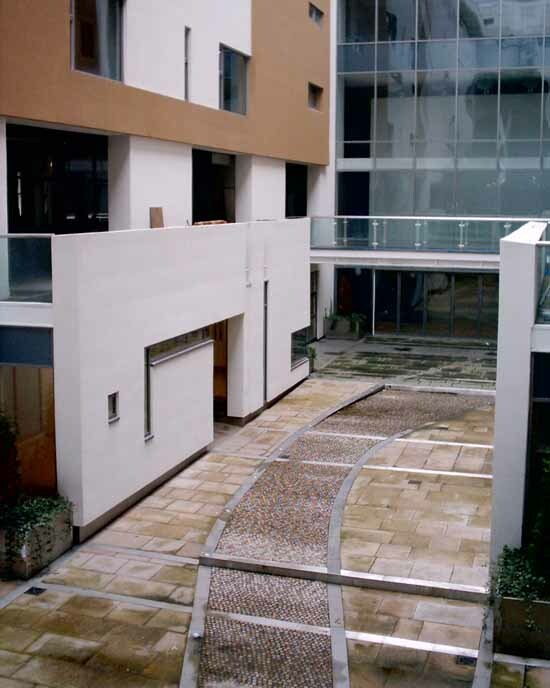 Developed by Persimmon Homes and designed by Parr Architects, the 62-apartment project retains Sheriff Court’s B-listed exterior, but blends it with a completely contemporary interior including an open-air central courtyard dramatically spanned by an elevated walkway. Each apartment is set over two levels, most with spiral staircases, and all the penthouses open onto private terraces. 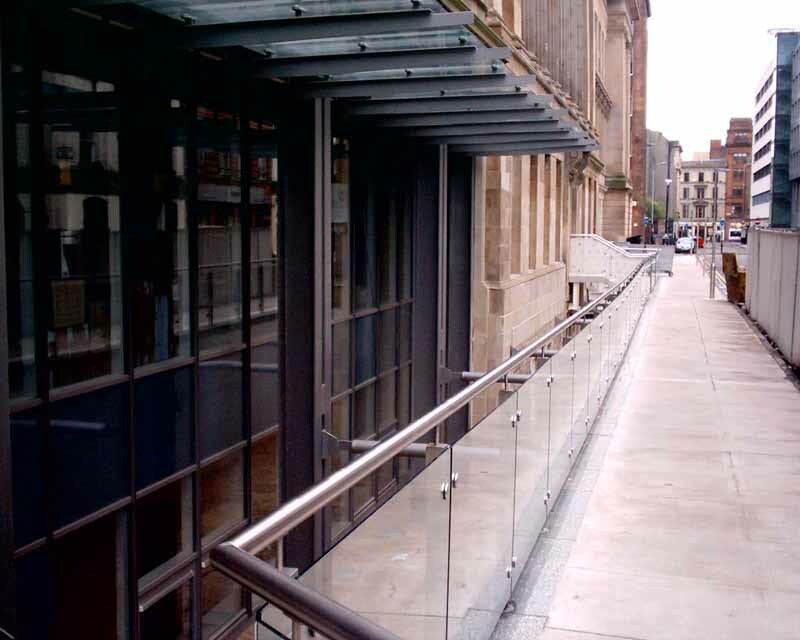 The building occupies a pivotal location between George Square and The Merchant City, and the development includes a bold diagonal thoroughfare designed to draw the public in from surrounding streets and integrate all aspects of the project within the wider city. Patrick Clark, a director of Parr Architects, says part of the inspiration came from the streetscapes of other great European cities such as Barcelona, Prague or Rome. “In those cities, you often find when you are walking you catch glimpses of passages leading into courtyards and you are never quite sure if they are private or public. You are kind of intrigued and want to go in and have a look. The courtyard will provide a space that appears simultaneously public and private and will serve as an oasis of calm in contrast to the hustle and bustle of the city. 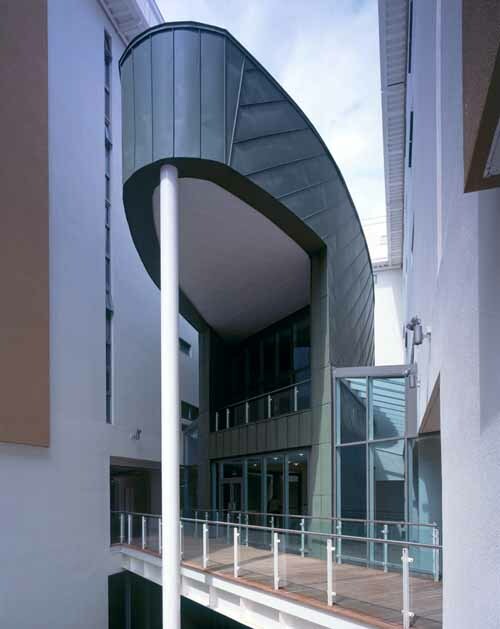 The Scottish Youth Theatre occupies the entire basement of the building, with its entrance via a striking copper-clad, oval shaped structure called the Bullet Building, which occupies the centre of the courtyard. The Bullet Building also contains Sheriff Court’s “signature” apartment, a two-story, two-bedroom residence that perhaps represents the ultimate expression of inner city living. 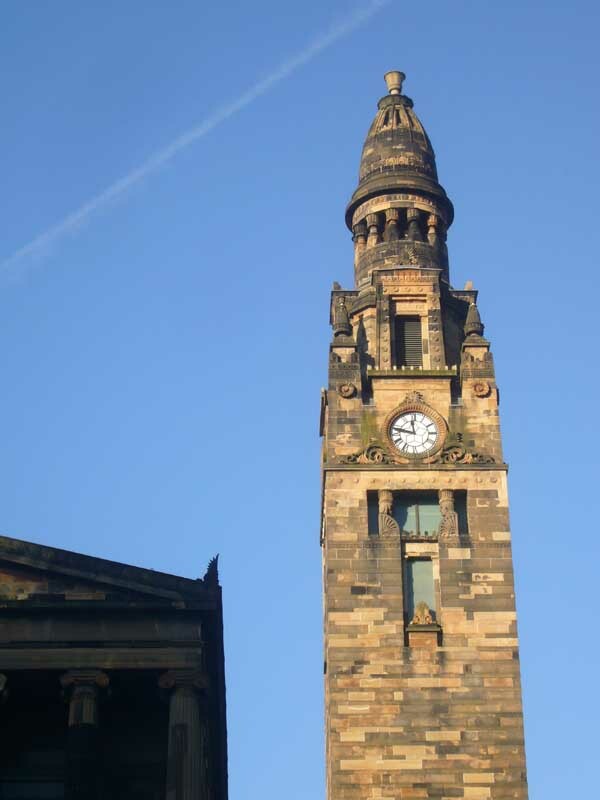 The Parr Partnership is working with Persimmon Homes East on a major mixed-use development that will breathe new life into one of Glasgow’s Landmark Buildings and generate a lively new public space for the city. 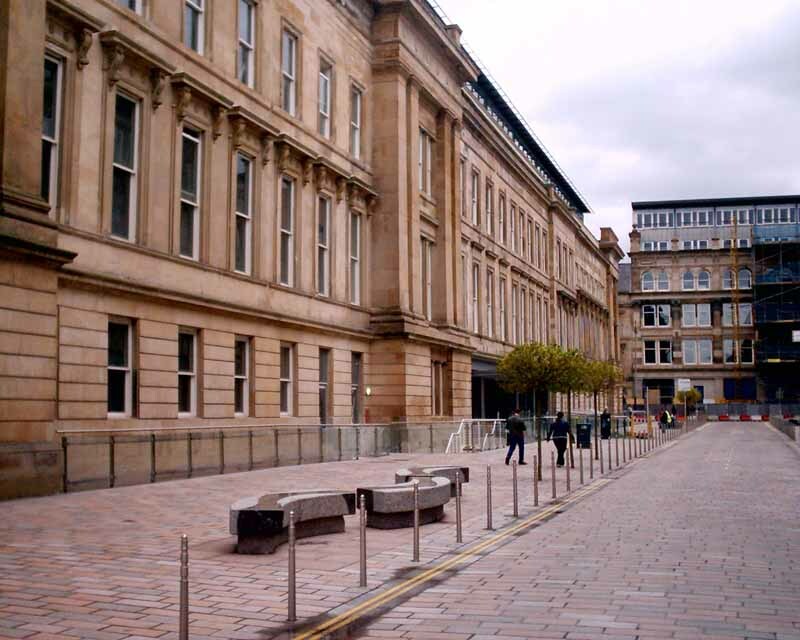 The B-listed group of buildings comprising the former Glasgow Sheriff Court sit as a complete city block on a pivotal location between George Square and The Merchant City. 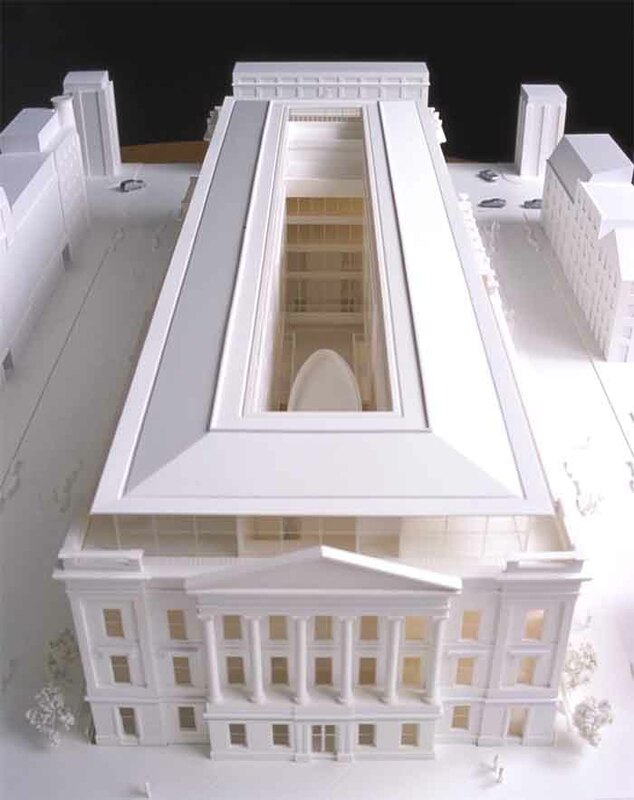 The Parr Partnership’s Glasgow Sheriff Court scheme offers a contemporary solution appropriate to the 21st century without compromising the integrity and strong identity of the original building: the existing neo-classical facades are retained with new build elements to the core creating a central courtyard – the hub of the building. The four different elements of accommodation – Commercial (retail and restaurant), Office, Residential and Cultural – are grouped around this space. 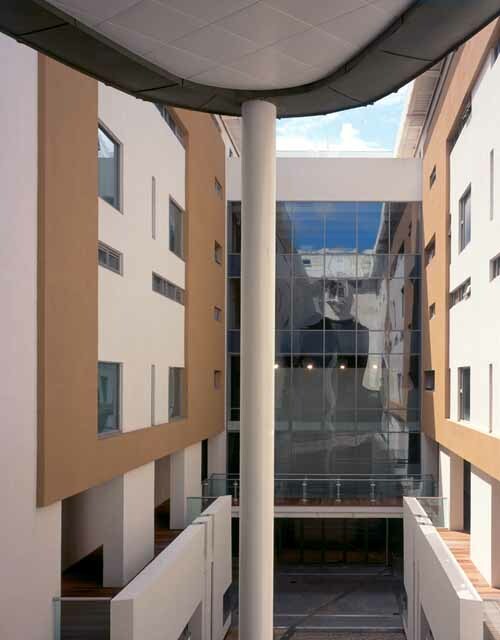 Walls of white render combined with large glazed sections give a light, airy atmosphere, further enhanced by the setting back of the upper residential units to increase light penetration to the courtyard. 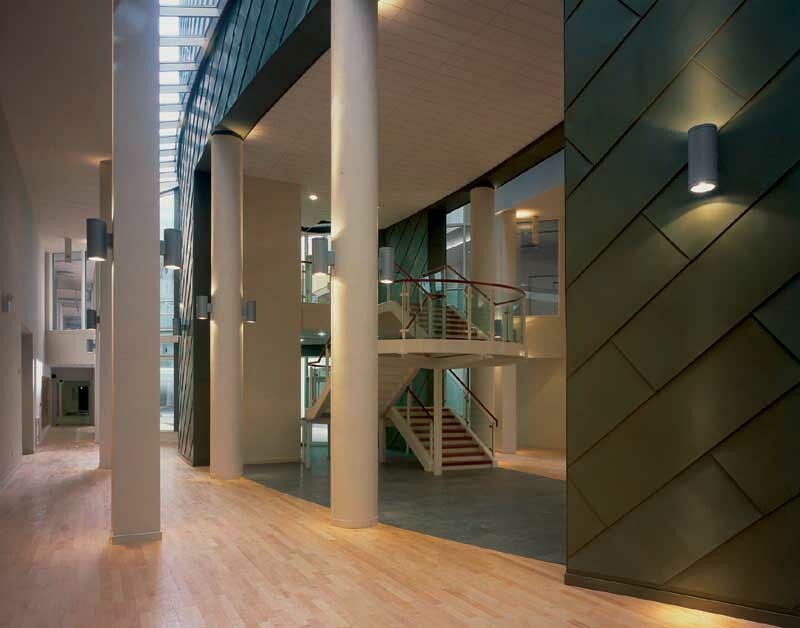 A clean, crisp insertion slides horizontally through the building from Northwest to Southeast to draw the public in from the surrounding streets and generate a movement link through this part of the city.